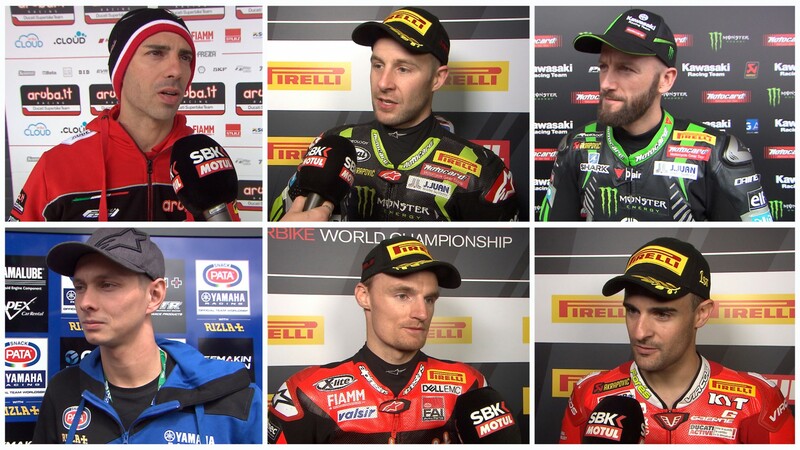 Jonathan Rea (Kawasaki Racing Team WorldSBK) had mixed feelings about his bike throughout Friday and the Saturday Superpole, but in Race 1 of the MOTUL FIM Superbike World Championship Round Three he put to bed any worries he or his team may have had with a dominant performance at MotorLand Aragon. 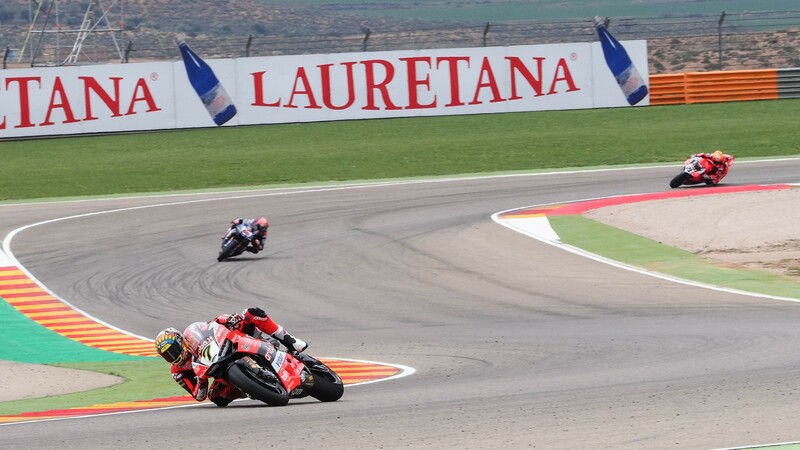 The reigning champion increases his lead to 14 points now, after Marco Melandri (Aruba.it Racing – Ducati) could only come in fourth. 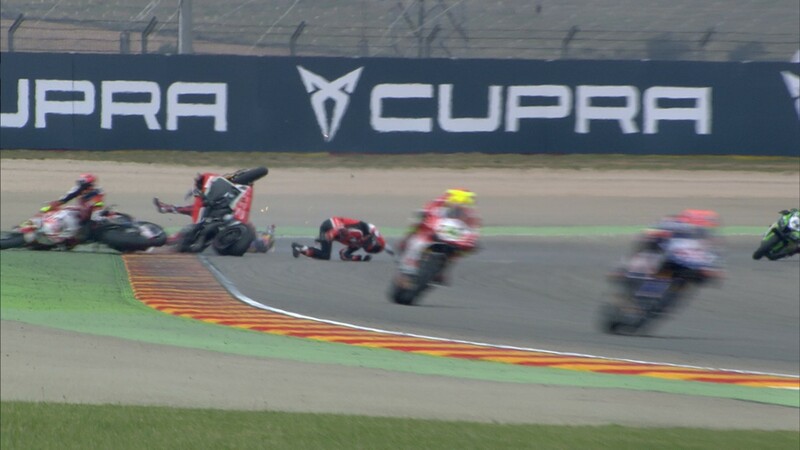 The race was red flagged after three laps, after a horrible collision involving Leon Camier (Red Bull Honda World Superbike Team), Jordi Torres (MV Agusta Reparto Corse) and Lorenzo Savadori (Milwaukee Aprilia). 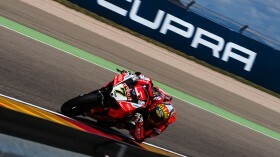 The Honda rider appeared to slip on Turn 10, with the other two riders just behind and unable to avoid contact. The Brit was immediately taken to the medical centre for evaluation, while Torres and Savadori exited the track on their own feet, although the Spaniard could not make the restart in time. Before the incident, a wild start had completely turned over the starting grid for Race 1. 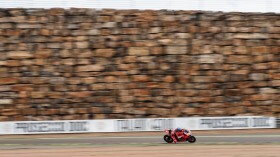 Poleman Marco Melandri moved down to fifth in lap 1, with Rea taking the lead ahead of Alex Lowes (Pata Yamaha Official WorldSBK Team), up from fifth. 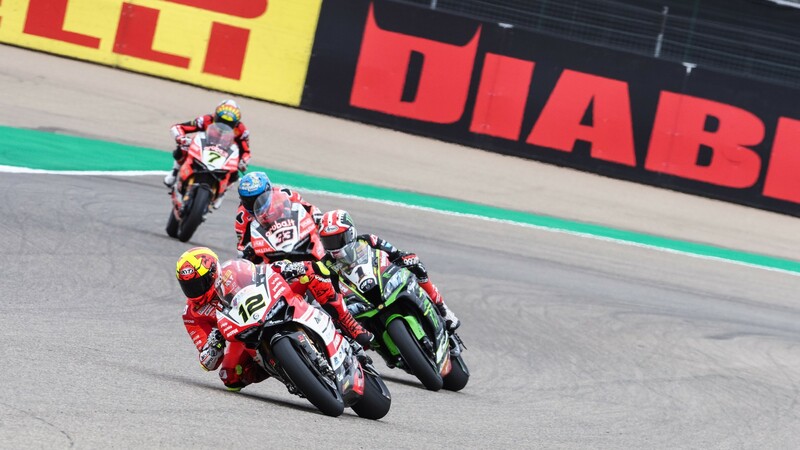 Behind them, Chaz Davies (Aruba.it Racing - Ducati) had made an extraordinary start, coming through from 11th to 4th in just one lap, and beating Tom Sykes (Kawasaki Racing Team WorldSBK) on the next lap to move into provisional podium positions. After the restart, it was Rea again at the top, leading the first half of the new race bar one lap from Lowes. 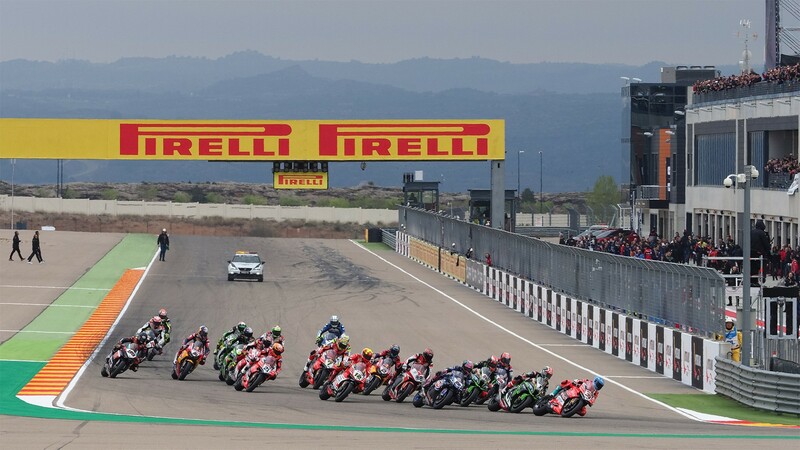 The champion later found himself under pressure from Xavi Fores (Barni Racing Team), who made his move over the Northern Irishman with just 9 laps to go, taking the lead in front of his home fans. But, ultimately, Rea found his moment a couple of laps later, racing away from the Spaniard and taking his second win of the season. The final laps displayed an extraordinary three-way Ducati fight for the podium, between Fores, Melandri, and Davies, up the field again. With Melandri going long with two laps to go, it was a fantastic race to the finish between Davies and Fores, exchanging places throughout the final lap and with the Welshman just squeezing ahead at the checkered flag. Behind them, Michael van der Mark (Pata Yamaha Official WorldSBK Team) came in fifth, leaving him in a promising position for Race Two. 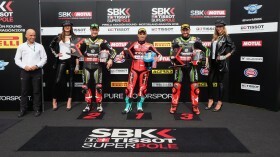 The British pair of Sykes and Lowes followed in sixth and seventh, with Michael Ruben Rinaldi (Aruba.it Racing - Junior Team) taking a good eighth position on his WorldSBK debut. At the back, a thrilling battle emerged for ninth, and thus a privileged starting position in tomorrow’s Race Two. 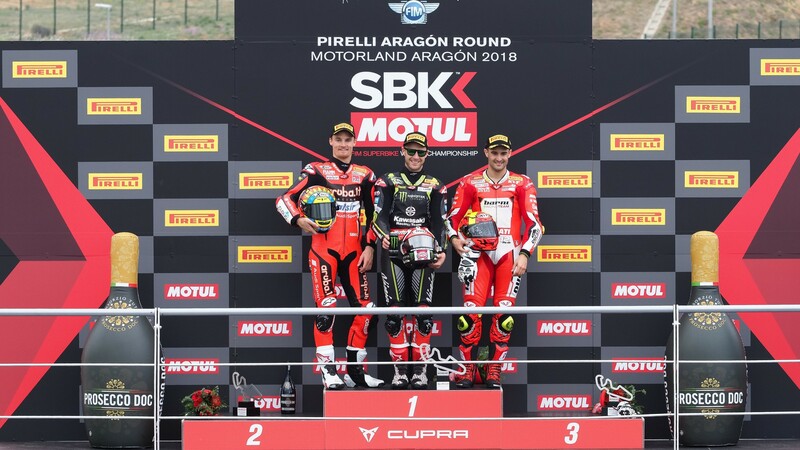 At the end, it was Toprak Razgatlioglu (Kawasaki Puccetti Racing) who came in ahead of the pack, with three more riders less than a second away. 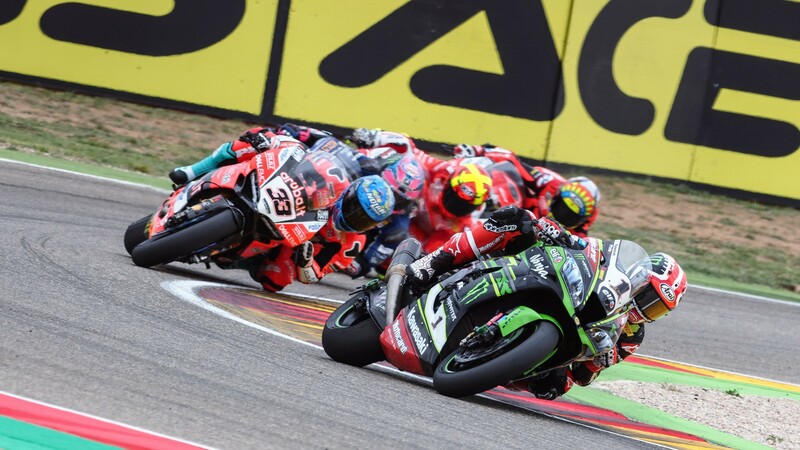 Relive this thrilling Race 1 from MotorLand Aragon, with reactions, highlights and much more thanks to the WorldSBK VideoPass. And don’t miss Race 2 tomorrow Sunday, starting from 13:00 (11:00)!